PhD in Economics, Renmin University; Master in Public Administration, Georgetown University; WTO Certificate, Institute of International Economic Law at Georgetown University Law Center. 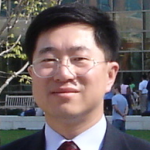 Professor and Director of the China Center for International Development, Nankai University; Yunshan Leading Scholar at Guangdong University of Foreign Studies. Experienced international economist. Focuses on issues of the WTO, international rule making, and China’s growing involvement in global economic governance. Former: Adjunct Professor, Walsh School of Foreign Service at Georgetown University; Consultant, World Bank; Deputy Director General, Ministry of Agriculture, China; Division Director, Policy Research Office of the State Council (China).